This year, Associated Bank’s Residential Lending Compliance (RLC) team decided to band together around a colleague’s service to the Mobile Food Pantry of Portage County. Tania Menadue, residential lending compliance specialist, volunteers two Thursdays a month at the local pantry, packaging and sorting donations received from the community to distribute to the rural areas of Portage County. Residential Lending Regulatory Compliance manager, Brad Teplin, and his compliance group recently visited the pantry to ready food for distribution throughout the community. The team tackled the important task of ensuring the inventory was current and products were pulled forward for accurate distribution and labeling. Since being founded in 2001, the Mobile Food Pantry of Portage County has made almost 6,000 deliveries to those in need in rural Portage County. Marcy Ferriter, with the help of her husband Dennis, has been the pantry's coordinator for the past eight years. The pantry makes deliveries on the second and fourth Thursday of each month. This averages out to be between 50 to 70 stops each day in rural communities, including Junction City, Rosholt, Amherst, Amherst Junction and Almond-Bancroft. "We connect with people that might not otherwise have the opportunity to receive this kind of assistance,” stated Ferriter. 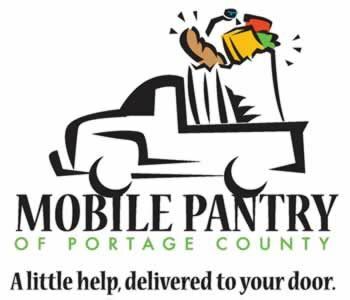 Learn more about the Mobile Food Pantry of Portage County.